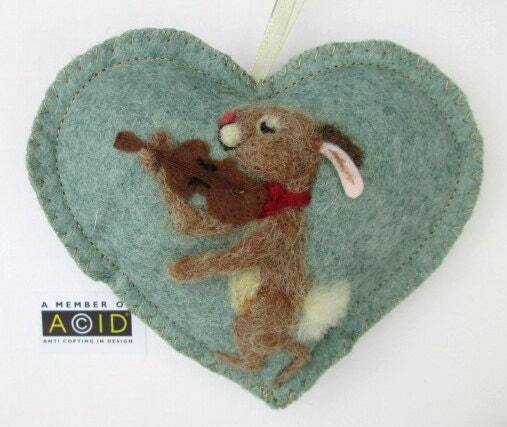 This listing is for a needle felted rabbit enjoying his music - scented with lavender. A personal gift for any musician or music lover. His ear and arm are 3 dimensional bringing him to life as plucks out a tune. ~Birthday card and gift all-in-one (with a small pocket and notlet for your message on the back). ~Tooth Fairy pillow (please ask for larger tooth pocket on the back when ordering). ~Thank you / hostess gift - write a note on the card pop it in the pocket on the back and choose a design of your choice. 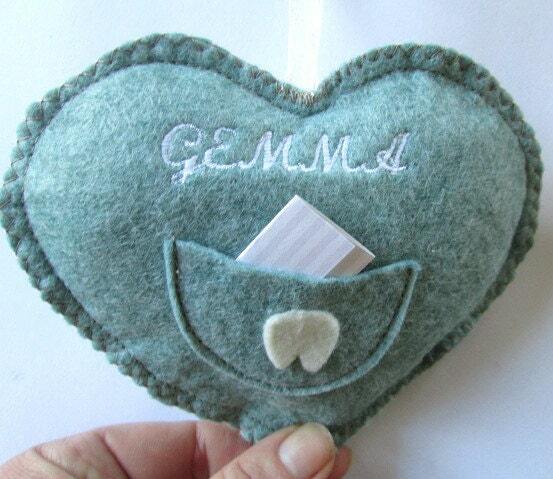 ~Christening gift - I have baby mouse designs which can be personalised with a name and date on the back or the mouse/rabbit can be carrying an embroidered letter for the baby's name. 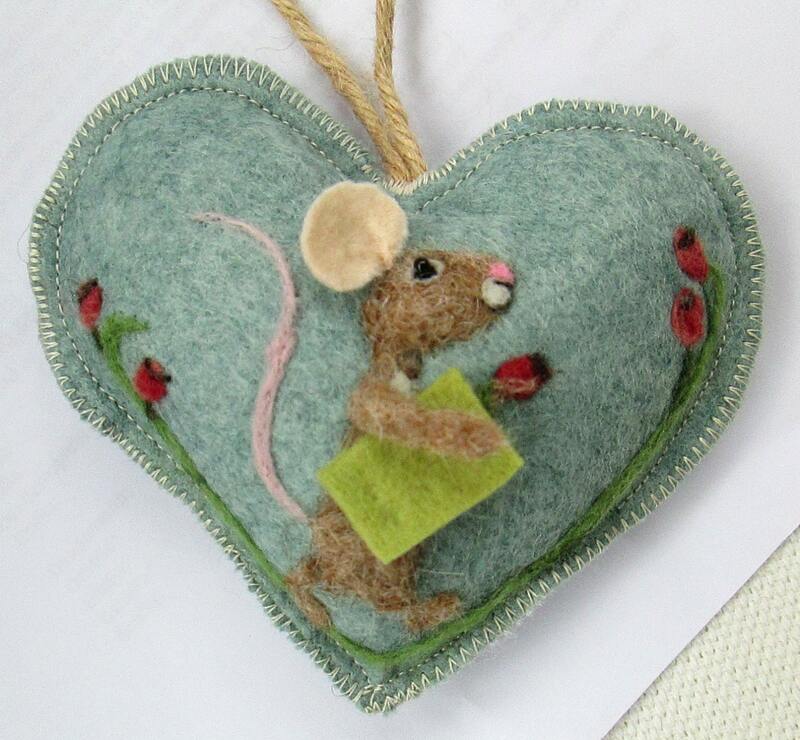 The heart when received can be hung up around the house or on a bed head for decoration and hung in the wardrobe or snuggled in drawers to scent clothes and keep moths away! 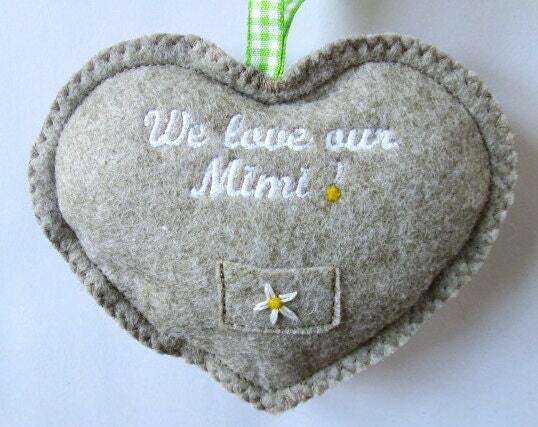 The heart measures approximately 15 x 12 cm in size. I make all hearts on demand so let me know which scent you would prefer. ( lavender or cinnamon or scentless) and just drop me a note with the name if required. 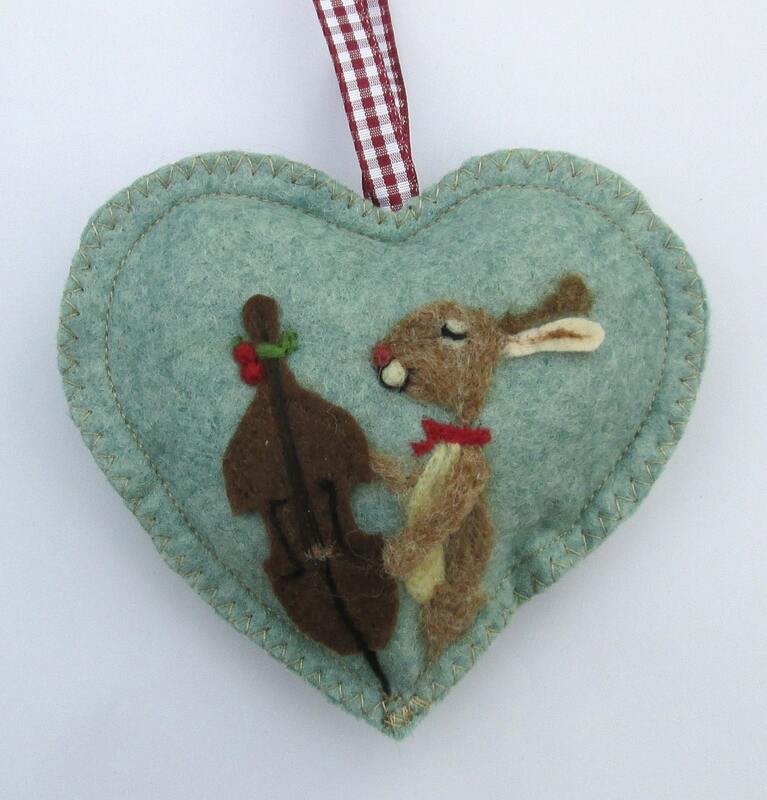 and Christmas and Festive Hearts here are a few more! Thank you for popping by please feel free to ask me any questions or ask for your own design / additions I am happy to help. I am an ACID member which helps artists record and protect their copyright and design right.